This is where Jesus heals the paralytic man in John 5:1-9. It is a complex site. 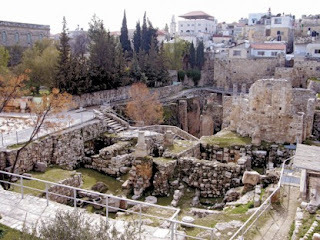 It appears to have been a mikveh, or ritual bath. As the spot of one of Jesus’ miracles, the Bethesda Pool was built over in subsequent periods with chapels and churches that are still visible today.